As you may have read in my ‘A New Mom’s Favorite Gadgets’ post, “Roomby” the Roomba has recently become the fifth member of our family. In the later months of my pregnancy, a few complications had me both tired and being careful about how much I did around the house. 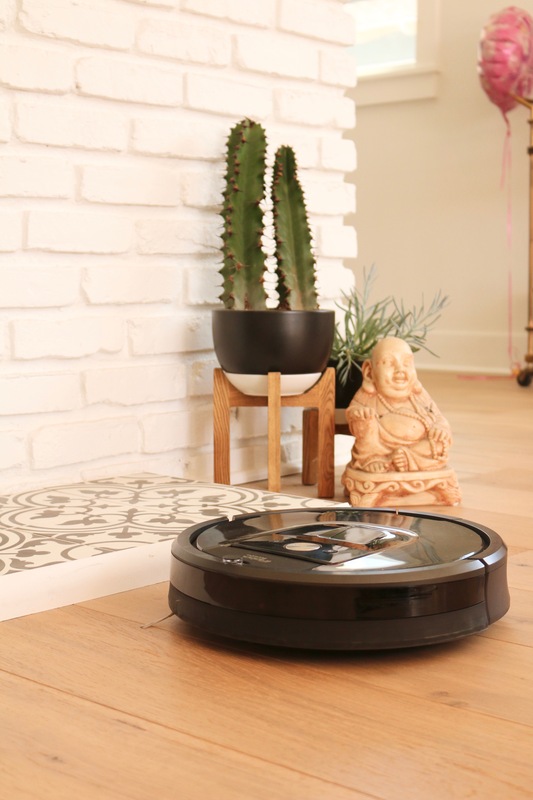 This was perfect timing to team up with iRobot around their Roomba 980 vacuum! Recently a lot of you have been asking me what my favorite items are for baby or pregnancy. There are so many amazing things I’ve come to rely on that it would be impossible for me to choose a favorite… but I’m sure some of them are very far from what you’d think. One of my favorite parts of being pregnant was dressing my bump, especially as it got bigger! I really embraced tight stretchy dresses and tops – both things I don’t normally wear. Now that I’m not pregnant I find myself missing the bump a bit and wanted to share a few of my favorite pregnancy outfits.